Achieving complete gender balance throughout the Civil Service is a critical priority for the organisation. The UK Civil Service ranks as one of the highest in Europe for the proportion of women in senior roles, but there’s still more work to do. Rupert McNeil, Chief People Officer for the Civil Service, discusses the recent Talent Action Plan and the initiatives being put in place to ensure diversity within the Civil Service. 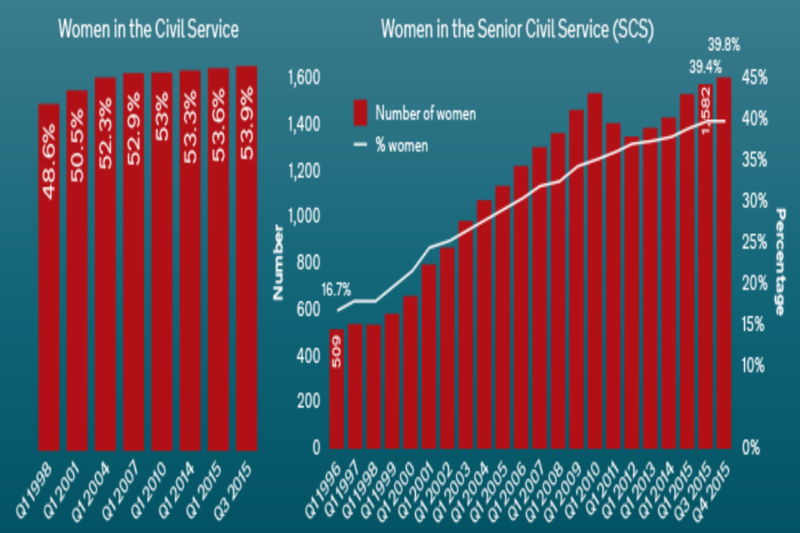 The Civil Service has a strong story to tell on gender equality. Figures published earlier this year by EY show that the UK Civil Service has more women in its senior ranks – at nearly 40% of the senior Civil Service – than any other European country, and comes fourth globally. The comparable figure for the FTSE 100 is 26%. While this is good news, gender equality means 50% up and down the organisation – so we still have some way to go, especially at the very top. At permanent secretary level, there are currently 7 women among the 37 permanent secretaries, though 11 female permanent secretaries have been appointed since the first in May 2010. Sir Jeremy Heywood, Head of the Civil Service, has highlighted diversity and inclusion as one of his top three business priorities for the Civil Service, and all permanent secretaries now have clear and measurable diversity objectives. The ambition to create a Civil Service that is truly inclusive and representative of wider society is supported by our senior leaders from across departments. Following external research into the barriers faced by underrepresented groups, including the 2014 Hay Group Report on Women in Whitehall, the Civil Service published its Talent Action Plan, which was updated in 2015 and 2016. This sets out our commitment to remove the barriers preventing talented individuals from succeeding, with the goal of the Civil Service being the most inclusive employer in the UK. The plan focuses on key themes such as recruitment and selection, talent and progression, inclusive culture and social mobility. Through the Talent Action Plan, we are looking at how we can support the development and progression of talented colleagues, regardless of their background. In the case of gender, the aim continues to be creating a culture where women feel supported and able to progress. Key elements include talent schemes, mentoring opportunities and supporting policies such as shared parental leave and flexible job design. There are a number of initiatives that have been put in place to improve the numbers and experiences of women in the Civil Service. For example, we have standardised and improved our approach to maternity leave and returning to work by researching and identifying best practice across the Civil Service and other organisations. This is being supplemented by the launch of the Civil Service Employee Policy’s Parental Leave ‘Gateway’, which aims to help employees and managers work together to ensure that the parental leave experience is a positive one. We have also introduced enhanced pay for shared parental leave to match our maternity and adoption pay arrangements. This tops up the statutory minimum and is available to both parents. As committed when we launched the Talent Action Plan, we are also ensuring that single-gender panels and shortlists are now by exception only. On flexible working, we have developed and launched a fully e-automated tool. This was launched in March 2015 to help us retain our most talented employees by making available stretching and interesting job-share opportunities that harness two sets of skills, experience and ideas in one job role. There are over 1,000 civil servants registered to use the site. We have also developed guidance and best-practice toolkits to support the use of flexible working across the Civil Service. The Civil Service fully supports flexible working and offers a range of flexible-working options as part of its total reward package. The strength of networks is not to be underestimated, providing opportunities for sharing best practice and supporting self-development. The Cross-Government Women’s Network (CGWN) was formed in January 2015 and shares events, best practice and support from women’s networks across departments. The CGWN has created a comprehensive Setting Up a Women’s Network guide to support the growth and expansion of gender networks across the Civil Service. We are increasing the take-up of unconscious bias training, with assessors across all leadership and talent schemes required to complete this training. We have also made face-to-face training available for departmental leadership teams; and our new management and leadership development offer continues to challenge managers’ understanding of unconscious bias and inclusion. Additionally, we have launched a Mutual Mentoring programme for our most senior leaders to be mentored by those from underrepresented groups. Over 100 directors-general and permanent secretaries have signed up, and the scheme has attracted over 250 potential mentors from across the Civil Service. One of Melanie Dawes’ top priorities as she enters her second year as Civil Service Gender Champion, is to delve deeper into the issue of culture. Developing an inclusive culture is an important part of the Removing Barriers Programme, and cultural barriers came out strongly as an issue for women in the SCS in the Hay Group’s Women in Whitehall report 2014. We will continue to focus on how we can develop and embed an inclusive culture in the Civil Service. We will look at how we support women as they progress through their careers with the availability of development opportunities, mentoring relationships, tools to support flexible working and identifying role models across the organisation. This will also be influenced by the work being carried out by participants in this year’s Future Leaders Scheme, who will be focusing on changing the culture of the Civil Service as part of their corporate challenge. As mentioned above, the power of mentoring has been a common theme, regularly featuring in discussions at gender events and leadership meetings. While the Mutual Mentoring scheme has proved hugely popular, we will continue to build the mentoring opportunities available to women throughout the Civil Service, working collaboratively across departments to complement the work they already do and building on pre-existing offers. And finally, we will continue to look at how we are developing a diverse pipeline within the Civil Service. This includes taking forward a critical review of the way in which the Civil Service defines and identifies talent. We will work towards using more inclusive methods of identifying potential and ensuring there is a clear pathway for all talented employees, with a particular focus on those from underrepresented groups. Kate Collyer, Deputy Chief Economic Adviser of the Competition and Markets Authority, explains how she is creating support networks with other women in competition policy to break through the glass ceiling. I work in an industry that has a pretty good gender balance, but the truth is the majority of senior people are still white and male. For this reason, a friend and I got together a group of ten female competition lawyers and economists to start an informal network that would meet regularly to offer each other professional support, encouragement and inspiration. We have also invited a range of people to talk to us about their careers and experiences, including partners in law firms and former Olympians. Last year, the group organised a panel event hosted by the Competition and Markets Authority (CMA) to promote and support women working in competition policy in the public and private sector. The 150 guests had the opportunity to network and hear senior women in leadership roles speak of their challenges and achievements, mentors, and how they have approached leadership as women. The audience included representatives from law firms, consultancies, regulators and other government bodies, who came to hear from women working at the highest levels of the industry. The discussion touched on topics such as the challenge for technical specialists advancing in their careers; self-belief in order to progress; the need for support, particularly when going through a transition to more strategic leadership roles; and the importance of role models and a work/life balance. It was an honest and impactful discussion and at times humorous, with overwhelmingly positive feedback from guests whose experiences resonated with the panellists’ stories. The seminar has had an exponential effect. As a direct result, over 90 women – from different competition organisations and positions – signed up to start their own support groups. There are now nine groups who meet regularly to share their own experiences, and a LinkedIn page, Competition Women Lean-In, with advice on how to set up a group. The word is spreading. So, get involved and join the increasing numbers of women becoming part of this movement. A couple of quotes from this article concern me... "Gender equality means 50% up and down the organisation." 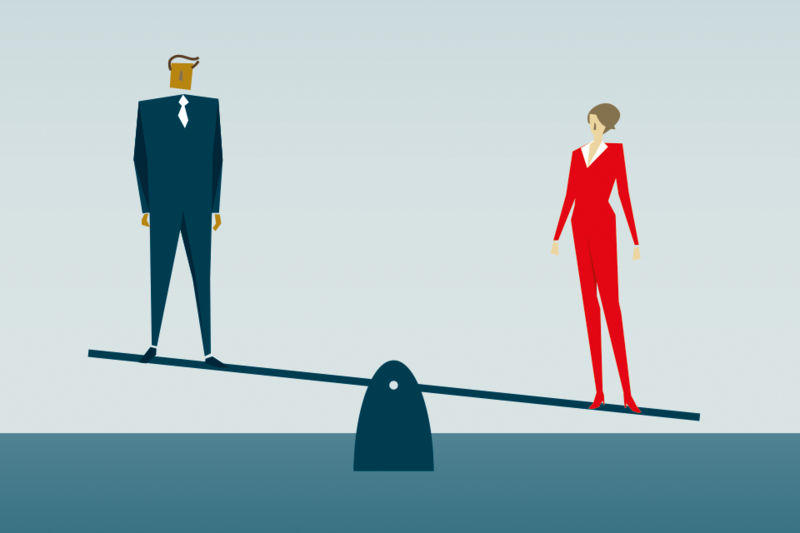 Gender equality isn't a statistic, it's receiving the same amount of pay from your boss and respect from your peers for doing the same job whilst getting the same opportunities. If we follow this 50% mantra and "All permanent secretaries now have clear and measurable diversity objectives." then one would be led to assume that if a man and woman were to go for the same job and the man were more qualified, that the woman would get the job to complete a quota. I hope this isn't true because it would be a frightening concept for the rights of men if it were. I believe that the situation with the Civil Service has improved over the past 20+ years and we have seen a significant shift in terms of gender equality but there is still more that needs to be done. What I would certainly like to see is an increase in the number of female recruits in STEM related roles within the Civil Service! It was also be nice to see an increase in BAME female recruits in such roles!